Popular franchises tend to have long legs, as fans of the series will gladly eat up every subsequent numbered release. The Persona series is a bit different however, since although four main titles have been produced so far, Persona 4 has been extended and received numerous spin-offs and crossovers with Persona 3. When the fighting game Persona 4 Arena was released a couple of years ago, fans were concerned about what the series had become only to be surprised by a solid fighter that brought their favorite characters into a new storyline. 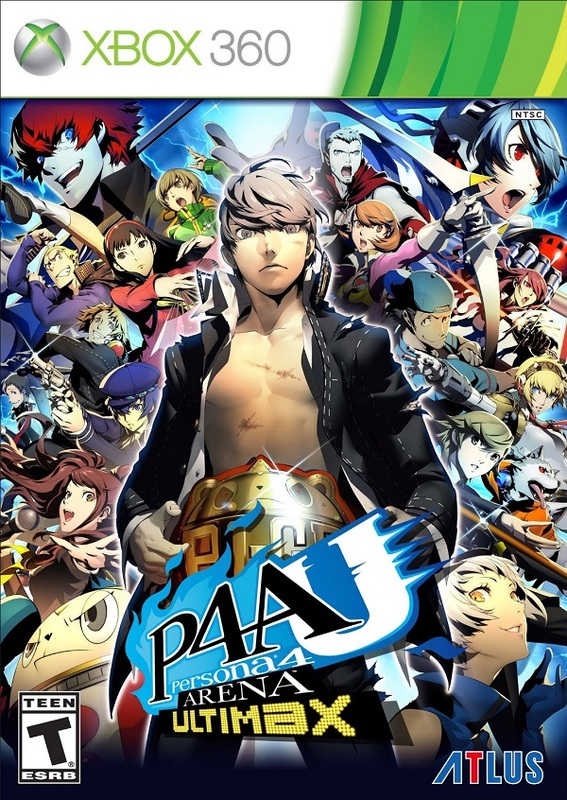 Now with the sequel, Persona 4 Arena Ultimax, looking to expand on that story and offer a number of new characters and balances to old fighters should fans of the series pick it up? 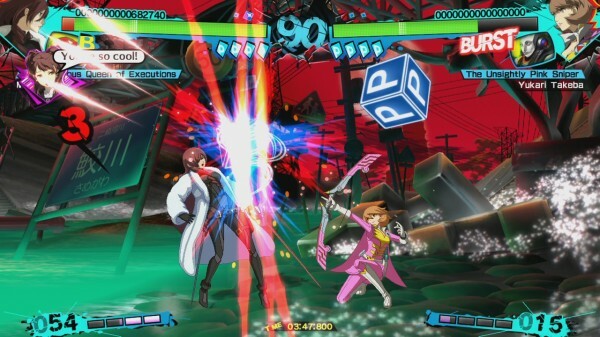 Persona 4 Arena Ultimax picks up shortly after the events that occurred in the first game. 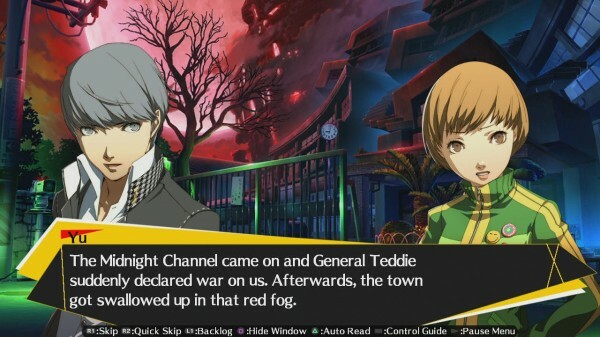 During a power outage, a mysterious red fog falls over the city of Inaba and unlike the first game, the TV World has begun leaking into the real world, allowing shadow versions of the cast into the real world and causing issues for everyone. As such, the Investigation Team from Persona 4 must once again step in to fight not only against their shadowy selves, but opponents who seem to be under the control of a mastermind. The story in Persona 4 Arena Ultimax is split into two different campaigns. The first campaign focuses on the cast of Persona 4 while the second is focused on the Persona 3 characters. Similar to the last release, the story unfolds through a visual novel format that is only occasionally broken up by a fight that the player must complete to advance. These battles are very simple to complete as they are mostly there as narrative devices and to give the player a bit of a break from reading. Despite the fact that we see so many of our favorite characters return, the story does tend to be a bit of slog at times. Though Persona 4 Arena Ultimax’s story is a great offering in the limited selection of the fighting game genre, it falls short on delivery this time around. 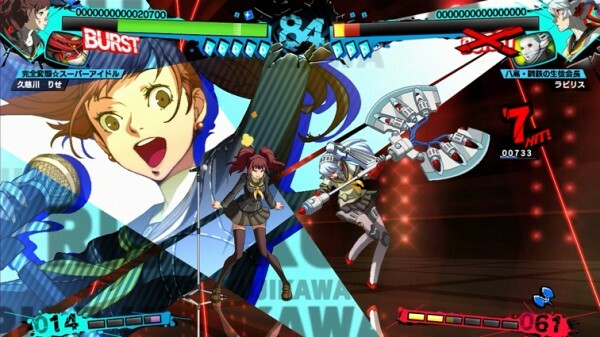 That isn’t to say that there is still plenty to enjoy for fans of the series however, as we get time to not only spend time with our favorite characters that were in the past game, all of whom make a perfect character transition into Ultimax, but also check in on some of the new characters as well. It is nice to see that the likes of Junpei Iori, Yukari Takeba, and the others actually playing a role in the story where they could easily have been simply placed in as filler for the roster. If anything, the best aspect of the story is the time spent with the cast of Persona 3 who have been mostly neglected in recent years, giving fans a chance to learn more about them as well as enjoy their personalities once again. 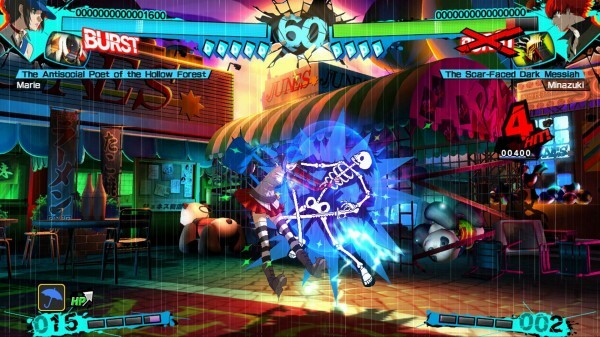 Those who have played the first game will know mostly what to expect when it comes to Persona 4 Arena Ultimax’s fighting mechanics as they mostly remain the same between these games, though a few additions and adjustments have been made. 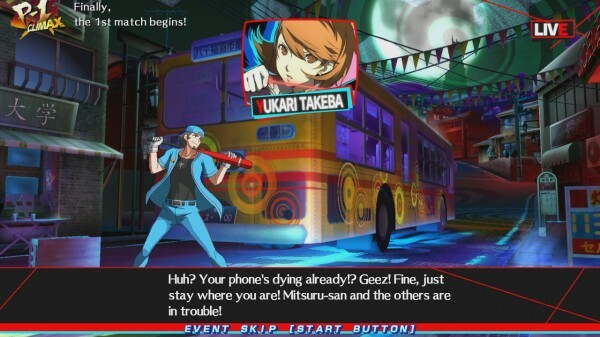 Similar to the first title, Persona 4 Arena Ultimax’s fighting engine contains one of the best things a fighting game can offer, accessibility. The title offers a system that players can learn and pick up within a day, playing through the game’s lessons and basic challenges that reveal all of the basic mechanics and character abilities but at the same time, mastering this combat system will take quite a bit of skill as it is incredibly deep. There are numerous sub-mechanics, including cancels, counters, status effects, frenzies, bursts, special modifiers and much more. The thing is, there is no real punishment for those who aren’t skilled at fighting games. 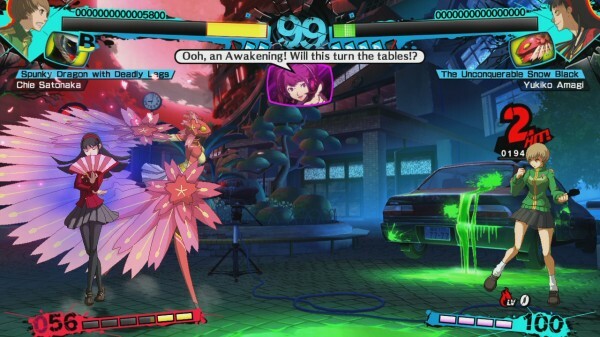 Throughout the game’s various modes, players can choose to fight on “Safety” difficulty that makes battles against the CPU incredibly easy and even if that isn’t an option, quick combos that can be unleashed by landing quick character strikes that chain into a skill can turn the tide of a fight. Of course that lack of skill will see you being trounced by better fighters online, but the fact that the single player mode is not only expansive thanks to the story mode, arcade mode, score attack mode, and a brand new Golden Arena, is a big plus. This Golden Arena is an interesting mode that sees players fighting through the floors of battles that take mechanics from an RPG and work them into the fighting system. Players will be able to level up fighters to improve their stats, learn skills that can benefit them in battle, and even build a Social Link with their navigator. The characters that have been introduced with Persona 4 Arena Ultimax’s expanded roster add extra depth to an already impressive roster that contains characters of every kind. There are long distance fighters, zoners, rush fighters, and more. It is also worth noting that the addition of Shadow versions of most characters adds some another layer of challenge for fighters as not only do Shadow characters lack some special moves of their counterparts, including the spectacular one-hit-kill finishers, they also benefit from a Shadow Frenzy mode that allows rapid skill usage and the ability to carry SP over between rounds. For those wishing to challenge other fighters online, the game offers a superb net code that holds up very nicely. Rarely did any of my online battles suffer from significant lag or drop outs and thanks to the lobby system and the “enlist” option for ranked matches, it is easier than ever to find an opponent to test your skills against. One thing that is unfortunate about Persona 4 Arena Ultimax, is that a lot of the character assets have been re-used between the titles, meaning there will be some disappointment for those expecting a completely new looking game. However this repetition is hardly a bad thing when you consider how great the sprites still look today and how faithful they remain to the source material. A few modifications to returning characters have been implemented alongside some new attack animations and the new characters ooze style, especially when it comes to Rise and her microphone attacks and special abilities. The voice work for Persona 4 Arena Ultimax may be a bit different for longtime fans as some of the voice actors sound like they have been changed in this release, although the actual difference between these new voice actors and their predecessors is quite small. As for the background music and the commentary during matches, that remains just as impressive as ever with some amazing sounding battle themes accompanying the bright, fast paced action that occurs in every battle. Persona 4 Arena Ultimax is a great follow up to an already amazing game. By offering a fighting game that features a fast-pace that is not only incredibly deep, but accessible to those who are novices with the genre is a rarity in the industry. Returning fans that do dive in will find an expanded roster brimming with style and a number of new mechanics and modes to try out. That being said, the story this time around, while impressive, doesn’t surpass its predecessor and a number of returning mechanics make the title feel a bit too similar to the original.